Sold in Individual sets or pairs. 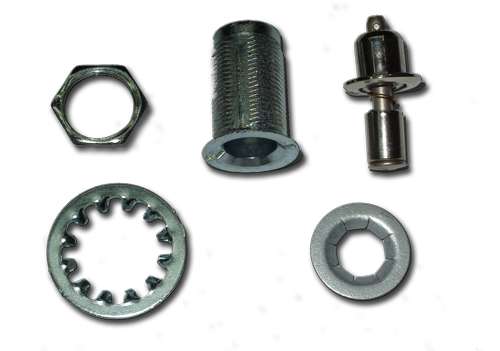 Individual sets include: 1 pc push fastener, 1 pc receptacle, 1 pc push fastener retainer, 1 pc receptacle washer, 1 pc receptacle nut. Pairs include: 2 pcs push fastener, 2 pcs receptacle, 2 pcs push fastener retainer, 2 pcs receptacle washer, 2 pcs receptacle nut.